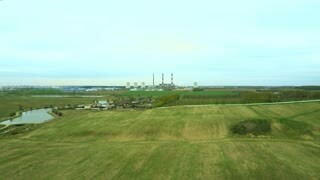 Search Results for "thermal plant"
Aerial view of the green field and industrial factory. Flight over the plant producing thermal energy with pipes. Aerial view smoking chimney on power plant on city landscape. Smoke emission from boiler pipe on thermal plant in modern city drone view. Fernwarme. The thermal waste treatment plant in Vienna. Flying over the large pipe plant for the production of thermal energy Aerial. Breathtaking Aerial Flyover Of Factory, Smoke Stack, Industrial Energy plant. Boiler room in the winter season, from the chimneys rise up clouds of steam. Pipes of a thermal power plant. Boiler house, pipe plant, boiler plant. Aerial footage, 4K video. Smoking pipes of the plant or thermal power plant. Looped video, the cinemagraph. Close up of New Zealand Manuka plant. The background is a thermal Sulfuric river and lake from an high point of view. The focus is on the foreground plants and the river in the back is out of focus.